ORIENTATION: Upon arriving at Doc Warner’s, the first order of the evening is to become familiar with the facilities and then to settle in for your week-long adventure. After you and your fellow guests have enjoyed a delicious meal, you will begin orientation. DAILY SCHEDULE: Every morning starts early with a hearty, all-you-can-eat breakfast. Afterward, we’ll provide fixings for you to make lunch. Then, it’s fishing time! You may fish until you catch your daily bag limits or until dinner time. After dinner, there are fish chats most nights and a cooking class and movie night. PACKING FOR HOME: After delivering your fish to our dock crew for processing each day, the fish are fileted, vacuum sealed, packed, and frozen to await the end of the week. Saturday, the catamaran takes you back to Juneau. Then it’s time to load the luggage and fish, say goodbye to new friends and a rejuvenating week, and return to the Juneau airport. INDEPENDENCE: You decide when to go, where to go, how long to fish, and when to return. It is your boat for the entire week. 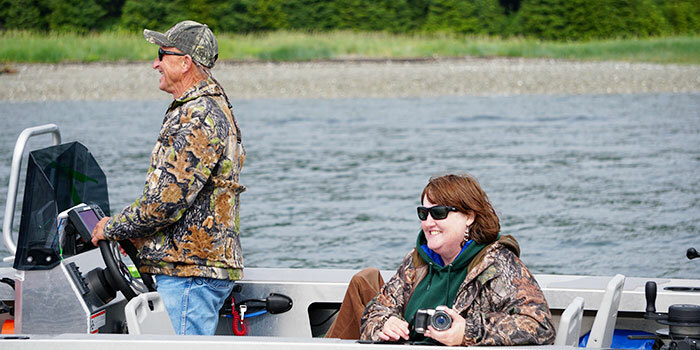 Independence allows you to maximize your Alaska fishing experience. SECURITY: Doc Warner’s staff are only as far away as you want them. 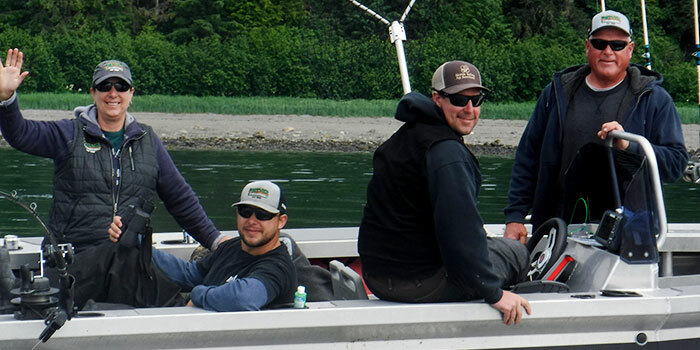 Whether you need instructions, directions, assistance, bait, tackle, or just a good suggestion, our safety boats are just a phone call or text away. CALM WATERS: The fishing area around Doc Warner’s Lodge is protected from the open ocean by barrier islands. This makes for good fishing, but also keeps the water calm for optimal fishing. 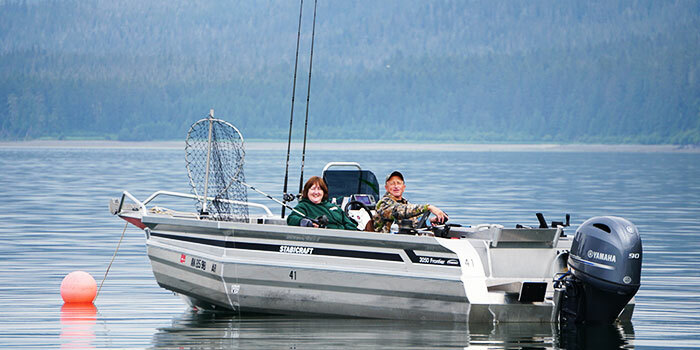 BOATING AND FISHING: Doc Warner’s will discuss boating regulations during orientation sessions at the lodge. Doc Warner’s abides by all state and federal regulations and expects our guests to abide by them too. Regulation booklets are available at the lodge. 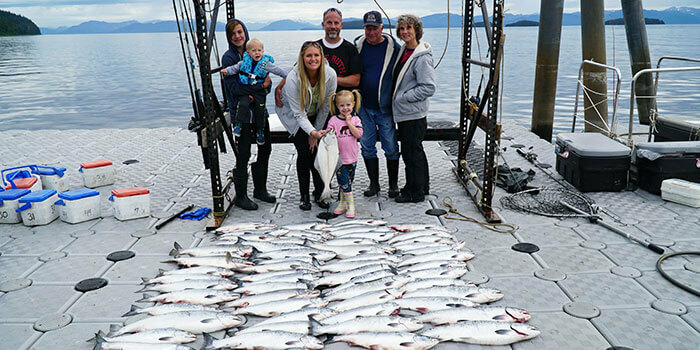 SALMON BAG LIMITS: King: 1-2 per day, annual limit of 3-6, 28″ or longer; Silver: 6 per day; Pink: 6 per day; Chum: 6 per day. These are historical limits, please call for most up to date limits. HALIBUT BAG LIMITS: 2 per day, NO SIZE RESTRICTION. WEEKLY UPDATE: Every week during the season, we provide an update about how the fishing was that week. BIG STORY: In the fishing update you will typically find the ‘big story’ of the week whether it be a jaw dropping catch, the spectacular weather, or a lot of a particular species. ANTICIPATE YOUR TRIP: Most readers of the weekly update are those that will be fishing soon. It is an important way to anticipate your trip so that you are ready to hit the ground running. 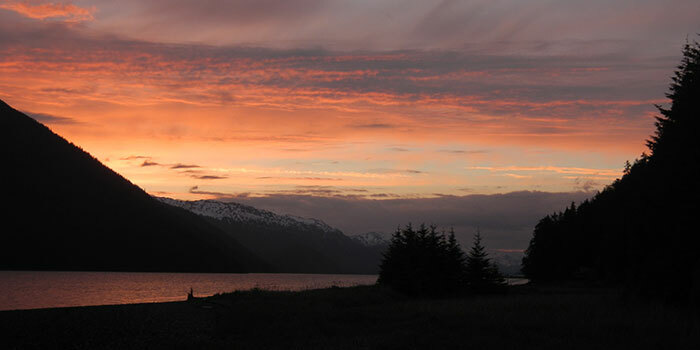 SOUTHEAST ALASKA: Doc Warner’s guests are treated to vistas of majestic snow capped mountains, glacier laden valleys, and verdant conifer forests carpeting the steep and rugged slopes. 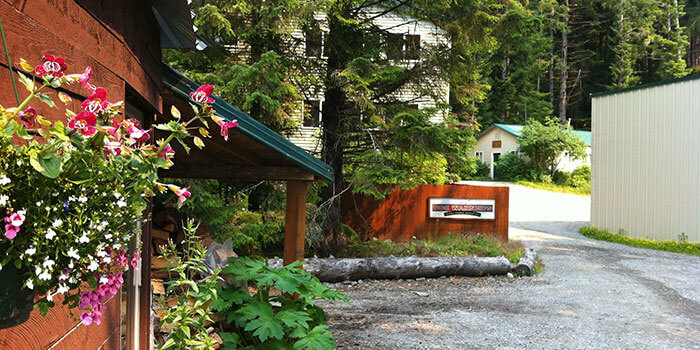 OUTSIDE OF JUNEAU: Located about 30 miles west of Juneau, Doc Warners’ lodge is situated along the shoreline of Excursion Inlet. It is nestled amidst the towering peaks of the St. Elias Mountains in Southeast Alaska. Gustavus, headquarters for Glacier Bay National Park, is a short 12 miles to the west. INSIDE BARRIER ISLANDS: In addition, the deep blue and often placid waters of the Pacific Ocean are tucked behind the shelter of numerous barrier islands with a picture perfect backdrop of azure skies punctuated with fluffy clouds.